Spend your summer in a High School in US with YFU's cultural study tours.International students can travel to US for Youth Short-Term Programs. Expand your horizons, explore U.S. culture, develop confidence with English skills, and pursue your passion while living with supportive American host families. Interested in U.S. culture and language? Ready to meet field professionals working on the cutting edge of STEM in the U.S.? Eager to sharpen your skills in global debate? Want to visit American university campuses and learn how the admissions process really works? You can get these experiences and more with Youth For Understanding! Travel to the U.S. and join fellow classmates from around the world for a two-week life-changing experience! 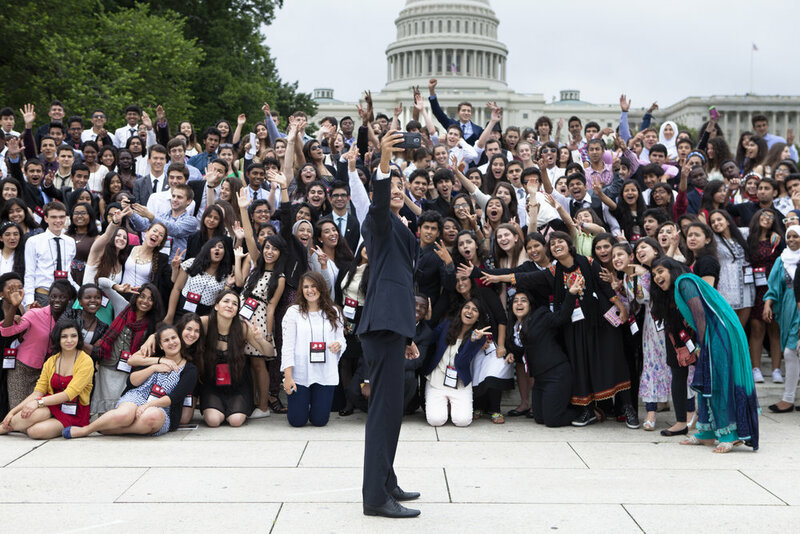 Spend two weeks and pursue your passion in Washington DC! With YFU, you can choose a program that best matches your interest and fits your schedule. American Culture and Language – Become confident in expressing yourself in English and deepen your understanding of the American culture and society. This program is not your typical English language program - With a dynamically integrated curriculum, you will explore topics in English class, and then experience them first-hand as you visit cultural sites and attend fun events with YFU staff. On evenings and weekends, your host family will be your guide to real family life in America. If you want to improve your English skills, make friends, and experience an American way of living, this is the program for you! STEM (Science, Technology, Engineering, Math) Focus – Come to the U.S. and soak up what the STEM field has to offer! If you are interested in gaining hands-on experience and learning about the cutting edge of the STEM fields and education in the U.S., this program is the right fit for you. You will live with a host family and take intensive English classes to help you improve your communication skills in the field of STEM. Get ready for unique excursions to various scientific institutions, museums, and schools in Washington, DC. Politics and Debate Focus – Experience Washington, DC, the epicenter of international and American politics and policies. You will sharpen your skills in debate, gain an insider perspective from professionals and leaders in politics, public service, and advocacy, and witness “policies in action” at the grass-roots level. Your host family will also help you understand the real American life and people. This is the perfect program for you if you aspire to go into politics, government, or civic leadership in your country! University Visit – Visit various campuses on the East Coast, meet the students and staff on campus, and learn how the admissions process to U.S. colleges and universities really works. Get a glimpse into what college life is like in the U.S.! You can elect to join this University Visit program only, or add it onto the above Culture, STEM, or Politics and Debate programs. Listen to the real voices of actual YFU students who just participated in our short-term program! To receive more information about the YFU Short-Term Programs, please contact YFU National Office in your home country at https://about.yfu.org/yfu-national-organizations If your country is not listed on the webpage, please contact YFU USA directly at info@yfu.org.